Andy Warhol and Bugaboo are both authentic icons who are innovative in their respective fieldsdesign and artsynonymous with originality, creativity, style and fun. 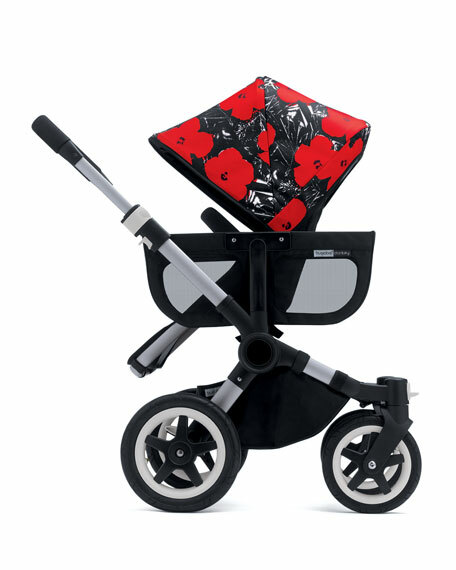 Warhol inspired stroller accessories by Bugaboo celebrate the artist's ability to create works that transcend any age or time period. Andy Warhol-designed print from the Flowers series (1964). UPF 50+ protection to let your child get the most out of the long Summer days. ANDY WARHOL and associated marks are trademarks of The Andy Warhol Foundation for the Visual Arts, Inc.